Junior League of Collin County offers a multitude of ways to provide assistance to non-profits in Collin County. The Junior League of Collin County (JLCC) provides financial support to agencies throughout Collin County. The purpose of the Agency Assistance Fund is to allocate money to community agencies for short-term program support and/or emergency needs. If you are applying for funding, please allow at least a 90 day review cycle. Done In A Day projects provide quick-response or short-term project support for Collin County communities. The JLCC provides volunteer support for community projects that can be accomplished in a one-time evening or weekend effort. 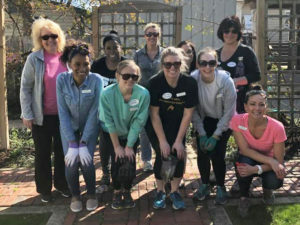 When nonprofit agencies are limited in achieving their goals because of lack of volunteers, this program provides a dedicated group of JLCC volunteers to work on short-term projects. All projects meet a community need in Collin County. If you are interested in receiving assistance from JLCC, please complete the Application for Assistance.